Chico State has long been a sustainability trailblazer. In 2007, Chico State was a founding signatory of the American College and University Presidents’ Climate Commitment (PDF). This climate commitment is an outward expression of our campus’s leadership in charting a path toward a more sustainable campus community and our commitment to address climate change by reducing and ultimately neutralizing greenhouse gas emissions and to accelerate research and educational efforts to equip students for a more sustainable future. In signing this commitment, Chico State committed to developing a comprehensive plan to achieve climate neutrality, initiate tangible actions to reduce emissions, and make all action planning and progress publicly available through the Association for the Advancement of Sustainability in Higher Education (AASHE)(opens in new window). 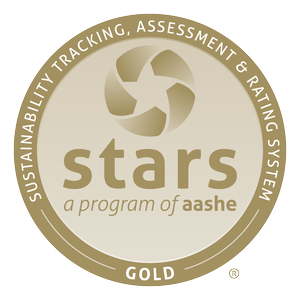 Since originally signing the commitment, Chico State is proud to have achieved Gold status in AASHE's Sustainability Tracking, Assessment & Rating System™ (STARS®(opens in new window))(opens in new window). In 2015, Chico State was yet again a founding signatory of Second Nature's President's Climate Leadership Commitment (PDF). The Climate Leadership Commitment not only commits our campus to climate neutrality, but makes building a resilient campus and community a top priority. We are committed to reducing our scope 1, 2, and 3 greenhouse gas emissions with the ultimate goal of climate neutrality but 2030. For the most recent campus greenhouse gas inventory information, visit the Second Nature reporting platform(opens in new window).